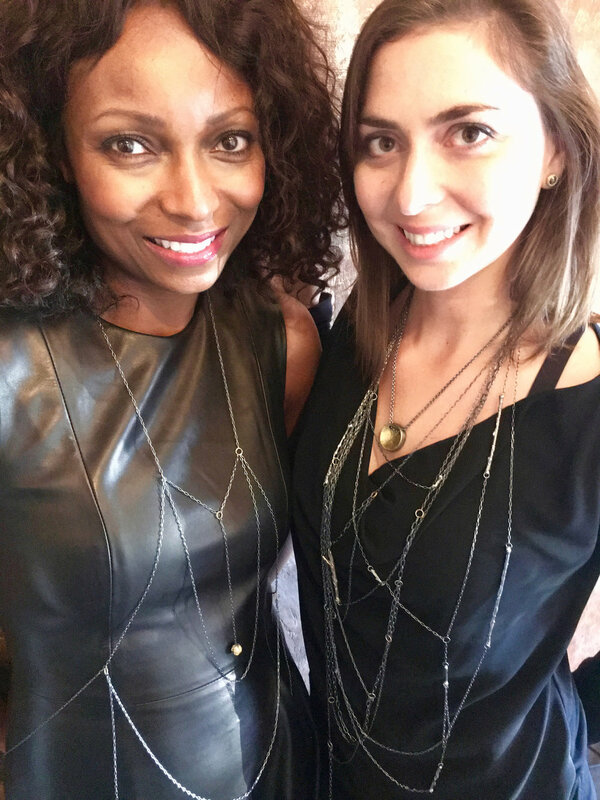 We were delighted to meet Dr. Grace Soltynski during our first stôn trunk show. Grace’s warmth and personable nature came across instantly. She also gravitated to stôn and picked her first piece that evening. When Grace asked if we would like to collaborate with her on our next event, we knew the pairing would be fantastic. Grace hosted us at the Eco Waterhouse in Dana Point on September 22nd, and the beautiful space was quickly filled with friends both old and new. The Eco Waterhouse specializes in providing clients with the best water alkalizing and filtration options. The space itself it warm, light filled, and boasts a clean design with industrial elements. The stôn jewelry fit right in. The evening was kicked off with champagne, filtered and alkalized water and delectable food by Pure Vegan Food. 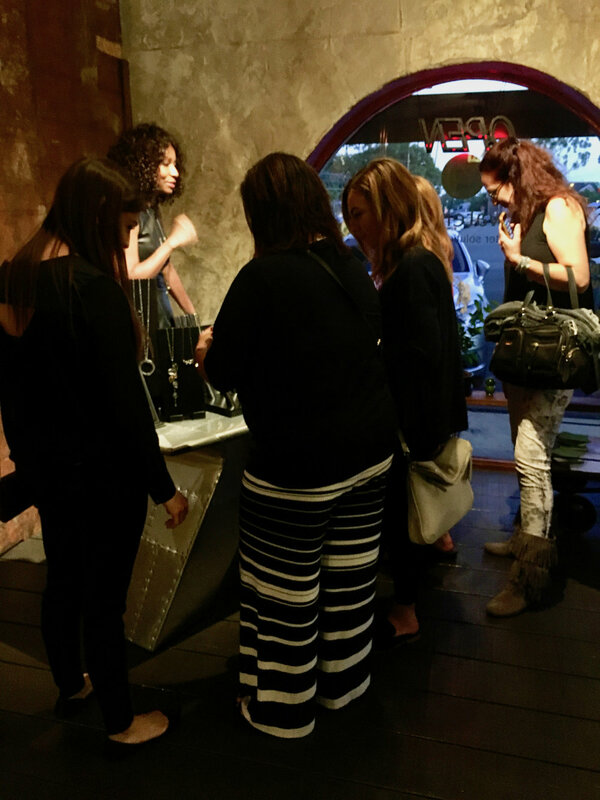 We debuted new pieces from our fall line and, and had the opportunity to interact with and get feedback from clients. The trunk show started at 6 and for the next 3 hours the Eco Waterhouse brimmed with enthusiasm, conversations, and music. The gathering of friends, coworkers and clients speaks volumes about the relationships being built and maintained. This is the work we value most. Connecting with and supporting women and building community. We love learning about individuals, their passions and how we can empower each other. We had the pleasure of meeting so many wonderful people, and listening to their love stories. How we choose to adorn ourselves and those we love speaks volumes about us. It begins with the water and food we choose to consume, the company we keep, and is reflected in the way we select the objects we wear and treasure. 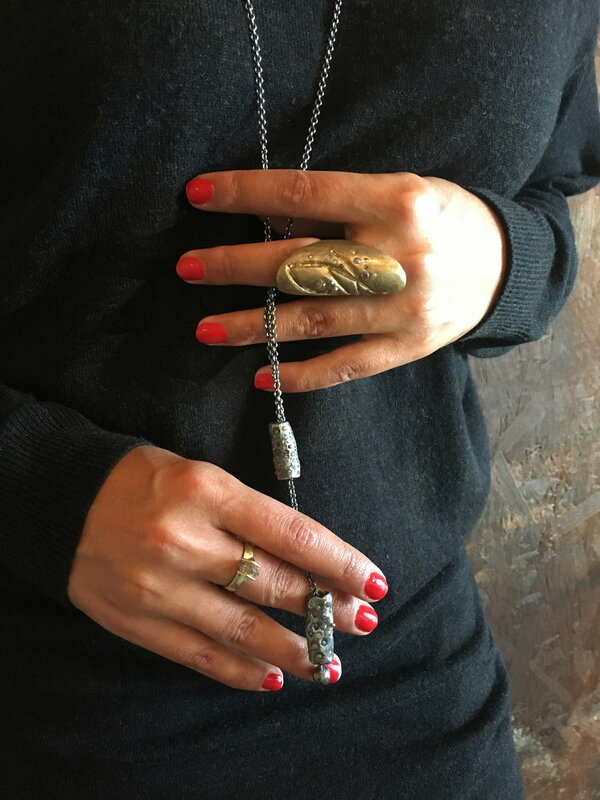 We are always thrilled to connect with the wearers of stôn and seeing the connections blossom. 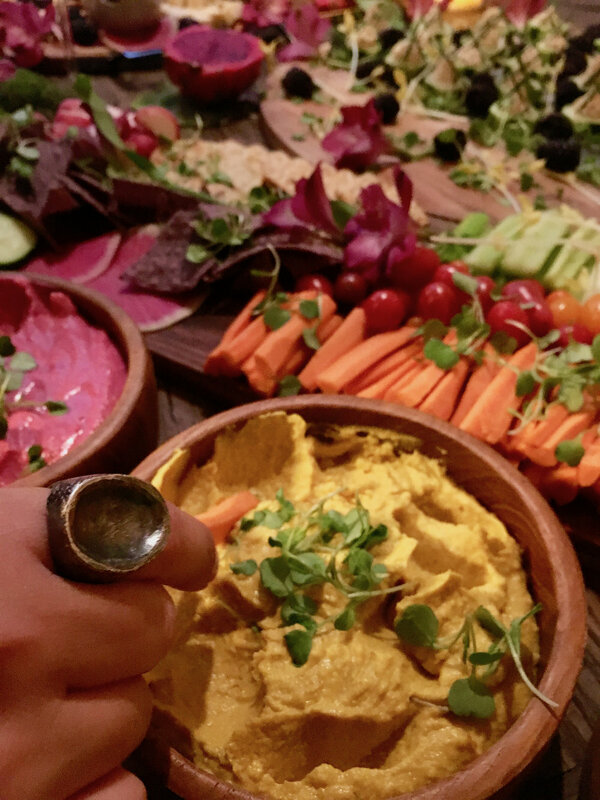 Our deep gratitude goes out to Grace, her magnificent staff, and Pure Vegan Food for creating a beautiful and memorable evening. We look forward to many more in the future.